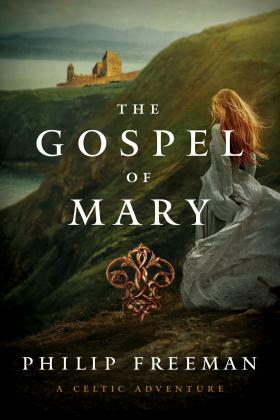 A young Irish nun finds herself the guardian of a mysterious manuscript claiming to be the lost gospel of Mary, when she realizes that church authorities are willing to kill to get their hands on it . . .
An old and dying nun has turned up at Deirdre’s monastery in Ireland with an ancient manuscript on a papyrus roll. When Deirdre reads the first line, she realizes it claims to be a previously unknown gospel written by Mary, the mother of Jesus. The church authorities in Rome have been seeking to destroy this gospel for centuries, claiming it is a forgery that threatens the very foundations of the faith. Deirdre begins to translate the gospel, but when a delegate of the pope arrives in Kildare searching for the text, she must set out across Ireland seeking safety as the church and its henchmen are hot on her trail. What does the gospel say? And why is the church so afraid of it?